Our team brings over 200 person years of expertise in energy and process engineering, software development, building and industrial controls, networking and communications technology. Mr. Lee is the founder of Cimetrics and has acted as its CEO since its formation. Mr. Lee has been a leader in the embedded control networking and building automation community for over 20 years. As founder and former President of the BACnet Manufacturers Association, the leading open systems networking consortium in the building automation industry, and Mr. Lee’s aggressive promotion of the BACnet open protocol standard has helped make Cimetrics a high-profile player in the arena. Mr. Lee has a B.A. in Physics from Cornell University. Ms. Cantabene is principally responsible for the monitoring and analysis of data and the development and delivery of recommendations to the Company’s clients. Prior to joining Cimetrics, she was Vice President of Energy Management for Amerada Hess. Her business focused on partnering with fortune 100 and fortune 500 companies (e.g. Bristol Meyers, Corning Inc., Gannett Corporation) to develop and implement strategic energy plans for their companies. Earlier in her career Ms. Cantabene founded H2O Matrix, a $22 million water conservation and management company. She is a graduate of the University of Rochester and was named Woman Entrepreneur of the Year in 1993 by Advertising Age. Mr. Butler manages the technology development organization and the products business. He has been with the Company for more than 20 years. Mr. Butler has been an innovator in the embedded networking for building automation. He has been a significant contributor to the design of the BACnet network protocol and the BACnet test standard. In 2000, Mr. Butler established the BACnet Testing Laboratories for the BACnet Manufacturers Association, and managed its product testing program for six years. Mr. Butler has a B.S. and M.S. in Aeronautics & Astronautics from the Massachusetts Institute of Technology. The Director of Product Development manages both domestic and international software development operations. Corbett’s team develops the user-facing aspects of the Analytika system, including the Analytika Portal web application. Corbett graduated from Queens University in Kingston, Ontario in 1988. He subsequently completed an internship at the Chalk River Research Lab of Atomic Energy of Canada. Corbett obtained a master’s degree in physics from Cornell in 1991 and his Ph.D. in 1995. His dissertation topic was “Transport Properties of Copper at Low Temperatures.” During his time at Cornell, he was central to the development of experimental control software in the Cornell Low Temperature Group. Corbett served as Secretary of the ASHRAE BACnet Committee (SSPC 135) and Chairman of the BACnet Committee’s Utility/Building System Interface working group. The Senior Director of Business Development is responsible for Analytika business strategy and vision. He graduated from Virginia Polytechnic Institute and State University with a degree in Engineering. Prior to joining Cimetrics he was a Director of Intelligent Services in Gardiner Energy Division where he managed and delivered their Intelligent Services Business Including diagnostics, certified energy reports, energy audits, performance-based services, facility management and HVAC systems/controls support of Trane and Building Logix automation systems. He also helped to drive high performance in building’s HVAC systems in Healthcare, Government and Educational facilities. Due to his efforts Gardiner had become their client’s energy partner and optimized their building’s controls and environments. Dr. Paul Rensing is responsible for Analytika system elements related to data collection and transmission. He graduated from the University of Victoria in British Columbia in 1986. He then studied at Stanford University, earning a Ph.D. in High Energy Physics in 1993. Following that, he was a Research Associate at CERN in Geneva, Switzerland. Dr. Rensing worked for 5 years at Dragon Systems on computer speech recognition. He has extensive experience with many different operating systems and computer languages and has been working in C++ and UNIX since 1989 and Linux in particular since 1997. Robert Veelenturf provides essential domain experience and is a major contributor to the development of our software systems and analysis applications. He has broad ranging and extensive industry experience. Mr. Veelenturf was instrumental in prototyping and generating the requirements for our analysis software and continues to be heavily involved in its ongoing development and application. He received a BSME from Wentworth Institute of Technology. He is a Registered Professional Engineer, a United States Patent holder, and a member of ASME and ISA. Mr. Taylor’s primary responsibilities include: integration of Cimetrics’ bundled services offering into the existing client base, principal liaison between Cimetrics Technology Division and Analytics group to enhance and fast track the development of new offerings, standardization and quality assurance of the Analytika deliverable across all accounts, and development of relationships with utility providers to deliver maximum value to Cimetrics clients through incentive programs. 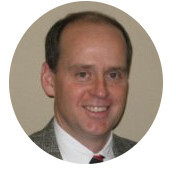 Mr. Taylor was previously a Senior Analyst and Manager of Analytics at Cimetrics responsible for content and delivery of all Cimetrics Analytika reports from 2002 through 2016. Prior to Cimetrics, Dean was a Project Development Manager for Enron Energy Services and a Senior Energy Engineer for TECO Solutions in Tampa FL. He has been a Certified Energy Manager (CEM) for almost 20 years and has a Bachelor of Science degree in Mechanical Engineering from The University of South Florida. Mr. Griffin is responsible for overall implementation of Analytika projects including the deployment of data collection devices, systems configuration and project management. He is also the Account Executive for some of Cimetrics clients responsible for all client deliverables and the overall relationship. Tim Griffin earned a B.S. in Mechanical Engineering from Union College in Schenectady, NY, in 1993. He joined Cimetrics in 2002 and brings to Cimetrics extensive experience in the engineering and design, as well as the project management of energy upgrade projects for institutional, commercial and municipal clients across the US. He has held senior positions with energy services companies and engineering firms including Honeywell, Inc.
Hadas Webb has 20 years of experience in engineering, energy analysis, and management. Ms. Webb has been with Cimetrics since 2007 and currently leads the Analytics team. Her primary responsibilities include ensuring on-time and high-quality deliverables, process and procedure development and optimization, project oversight including budgets, timelines, prioritization, and customer communication, and the hiring, training, and supervision of all analysts. Formerly, as a Senior Analyst at Cimetrics, Ms. Webb was directly responsible for energy analysis of over 8 million square feet of facilities in the education, government, and health care sectors throughout the United States. Ms. Webb has identified and helped implement more than $4.5 million in annual energy savings. Prior to joining Cimetrics, Ms. Webb worked as a Building Automation Construction Manager at Partners Healthcare, where she was responsible for managing control system projects and developing a building automation master plan for Massachusetts General Hospital. Ms. Webb also has experience working in control system design and software development for building automation systems. Ms. Webb received a B.S. from Rensselaer Polytechnic Institute and an M.S. from Carnegie Mellon University, both in Mechanical Engineering. She is a member of ASHRAE and AEE and is a Certified Energy Manager (CEM). John McCarthy has been directly responsible for energy analysis, developing recommendations, and Analytika reporting for 35 buildings, including over 7 million square feet of facilities in the higher education, medical device manufacturing, and pharmaceutical manufacturing sectors throughout the United States. Mr. McCarthy has identified and helped implement more than $7.2 million in annual energy savings. Mr. McCarthy holds a BS in Mechanical Engineering from the University of Massachusetts and an MS in Mechanical Engineering from Northeastern University. He has been a registered professional engineer with the State of Georgia since 2000. Albert Putnam maintains expertise in physical world sensing, networking and cloud, and consults about how to take data and analytics from the edge to actions. He has worked in design, research, production and project management – at home and abroad – on site and in house – for Cimetrics, OEMs and academia. Albert Putnam’s education and experience: Graduate: RF NMR examinations of helium at ultra low temperatures in high magnetic fields using refrigeration systems and computer controlled data acquisition. Undergraduate: surface science, infrared spectroscopy, nuclear physics, and mathematics. Computer: embedded/industrial – edge to cloud – with most all networks, protocols, programming languages and OSes in between. Current topics: Energy systems. Reliability. Traceability. M&V, Insane/Magical Usability. Augmented Reality and IoT. Julianne Rhoads joined Cimetrics in 2017 and is responsible for energy analysis and reporting on more than 35 buildings, including over 4 million square feet of facilities in the higher education, healthcare, and pharmaceutical research sectors throughout the United States. Ms. Rhoads has identified and helped implement more than $2 million in annual energy savings. Prior to joining Cimetrics, Ms. Rhoads was responsible for designing Energy Performance Contracting projects at Siemens Industry, Inc. as an Energy Engineer. Julianne holds an MS in Energy Engineering from the University of Massachusetts at Lowell. While at UMass, Julianne designed and built a net-zero solar-powered home with Team Massachusetts for entry in the U.S. Department of Energy Solar Decathlon 2011, and shared their team’s story at TEDxBoston. Julianne received her BE from The Cooper Union for the Advancement of Science and Art. She is a member of ASHRAE and AEE and is a Certified Energy Manager (CEM). Ms. Zagura has over 10 years of engineering experience in building automation and mechanical systems. Her work at Cimetrics involves energy analysis, providing implementation recommendations, and Analytika reporting for over 30 buildings in the healthcare and pharmaceutical industries. Prior to joining Cimetrics, Ms. Zagura worked as a manager for the New England automation design team at Siemens, where she was responsible for managing control system project design. Ms. Zagura received her M.S. from Boston University in Mechanical Engineering. She has her CEM and is a LEED Accredited Professional.